Oh ya 3 disc...FF8 yg 4 disc ya?? The latest Final Fantasy Type-0 details have leaked out of Jump. The magazine shows characters Ace and Queen. You control Ace with button and analogue stick movements, making the character use cards to perform a variety of attacks. Queen has combo attacks and special attacks. As previously detailed, the game has a three party battle system. You'll need to swap in other characters based off the situation. The magazine also has a look at some story elements. The main cast of characters are students in the "Class Zero" class in the Presiterium magic school of their country of Rubrum (the name "Class Zero" is new info, I believe). We should be getting more info in about a week, as Famitsu is promising a look at the game for its issue that's due out on the 24th. ff 0 & ff agito beda gak?? Tadinya mau diberi judul Agito, tapi kemudian diganti dengan Type ) gan. "Nothing has been decided upon yet for the North American release. 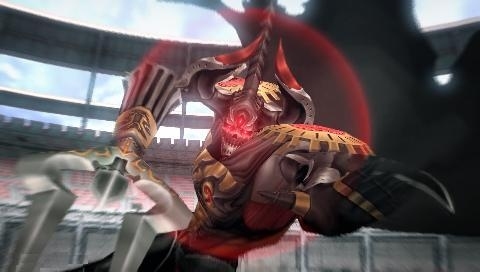 However, Final Fantasy Type-0 is a challenging game of high quality. Therefore, everyone on the staff hopes gamers around the world give it a try and really enjoy the experience, so we hope to have your continued support!" Jadi FF XIII kehilangan salah satu seriesnya dong? Kan ga bertitle XIII, cuma nebeng mithologi XIII ? thx agan2 smua yg dh jawab n gak bs ane quote 1-1 cuz ngaskus pk HP..
Owh i see, jd ff 0=ff agito..
Kenapa namanya jadi FF Type 0?? ntar pas pertama mulai kita bisa bikin karakter sendiri ato disediain karakternya? Penjelasan cara bertarung tentang Queen sama Ace ya? SE mudah2an ngeluarin RPG2 Yg luar biasa tahun ini..